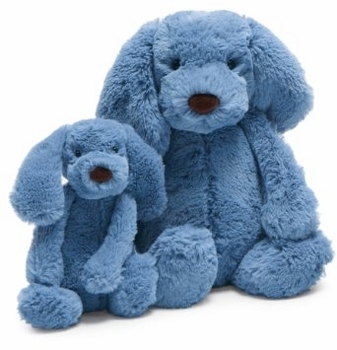 This 15" friendly, cuddly, chambray puppy is hard to put down. Full of endearing character with a sweet face, he will soon become your little one's bestfriend. He is made of a soft non-allergenic cotton/poly fill.